I went to see my friend Bjørg this weekend. I came on friday evening and left today. Yesterday we baked. First we made gingernuts. 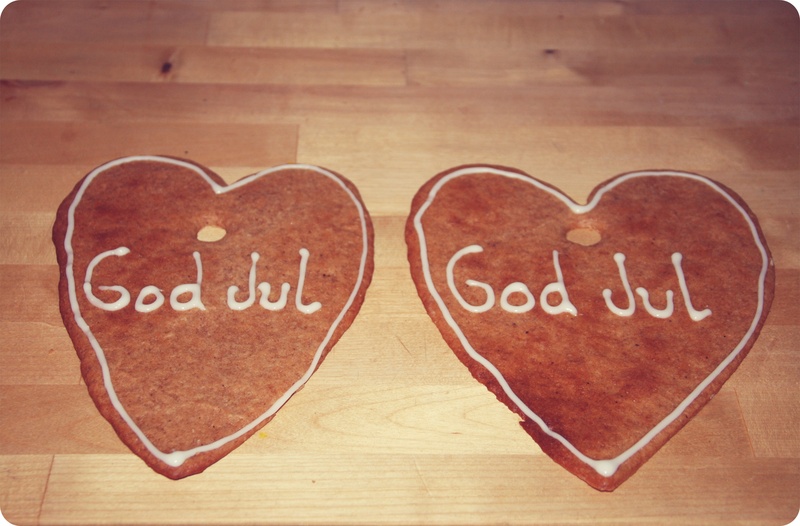 Then we decided to make gingerbreads as well, since Bjørg had bought 2 kg of gingerbread pastry at IKEA. We only baked half of the pastry. That was enough. Bjørg had bought some heart-shaped thingies to cut out the cakes with earlier, so we used them. I made two big hearts for myself. I wanted to decorate them and use them as decorations. So after I came home, I hang them up in the kitchen. So this is one of the gingerbread hearts that hang in the kitchen window. 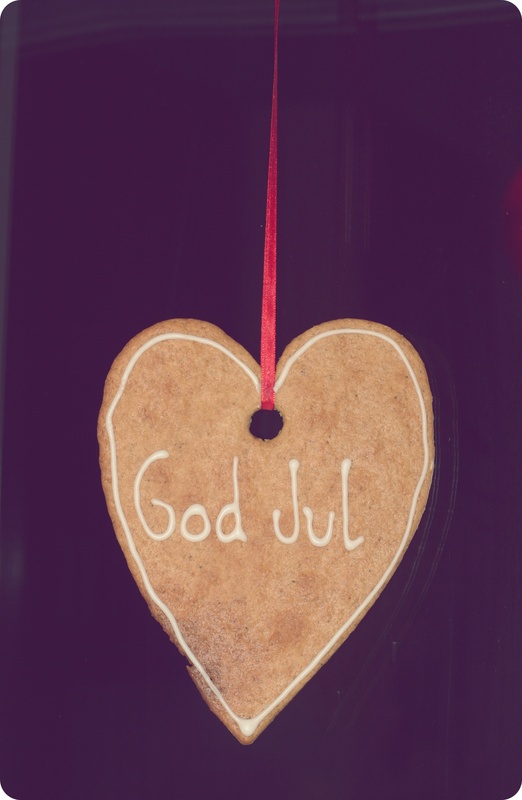 It says ‘god jul’ which means ‘Merry Christmas’ in English.